A long time ago in a galaxy far, far away… it was a nice sunny day in O.C., California. 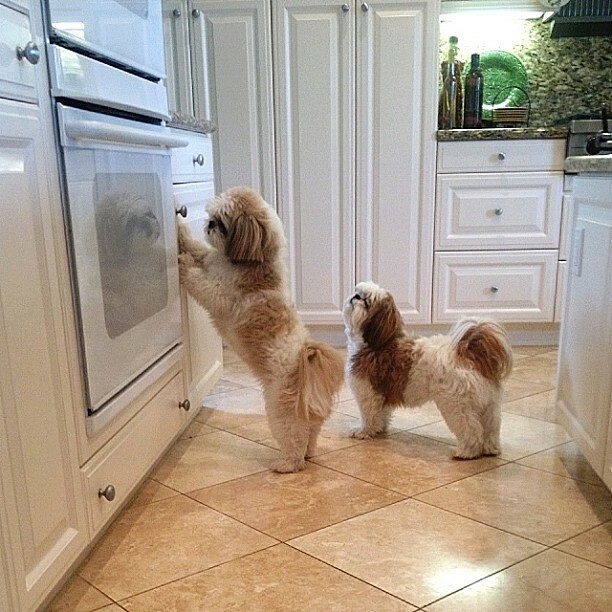 Like every Saturday morning, the noble Shihtzuswag family had just finished their delicious breakfast. Mr. Shihtzuswag was then on his way to buy countless gifts for his gorgeous wife Mrs. Shihtzuswag who opted for some sun tanning at the pool with a glass of bubbly. The dynamic duo, their two adorable furkids Tiger and Gus, were hanging around the house recharging their batteries from a wild Friday night. Tiger Shihtzuswag, the femme fatale and the unofficial leader of the family, is fearless on the battlefield for treats and dedicated to achieve whatever she sets her mind to. Tiger would spend most of her days dreaming about becoming an actress. Her obvious visual and intrinsic resemblance to princess Leia Organa of Star Wars has been fueling her desire to take her acting career to the next level. 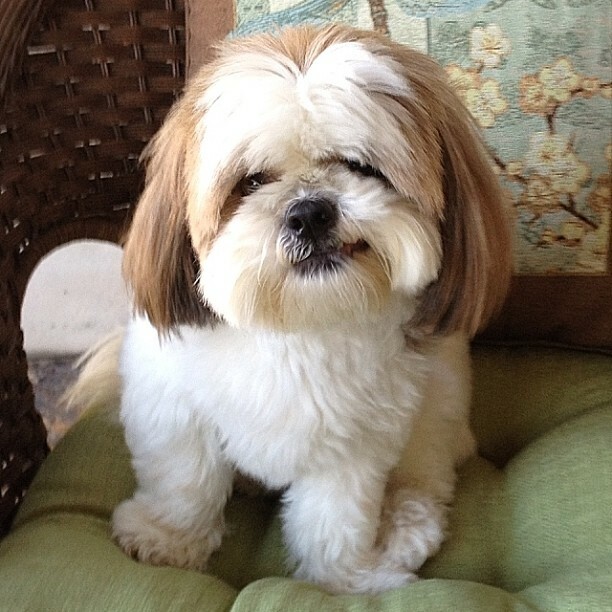 The handsome and at times too curious for his own good Gus Shihtzuswag is the Shihtzuswag’s family official trouble maker. As a quick learner of advanced technology, he sometimes takes over their joint Instagram account pretending to be Tiger in an effort to gain trust and easy access of and to the ladies. 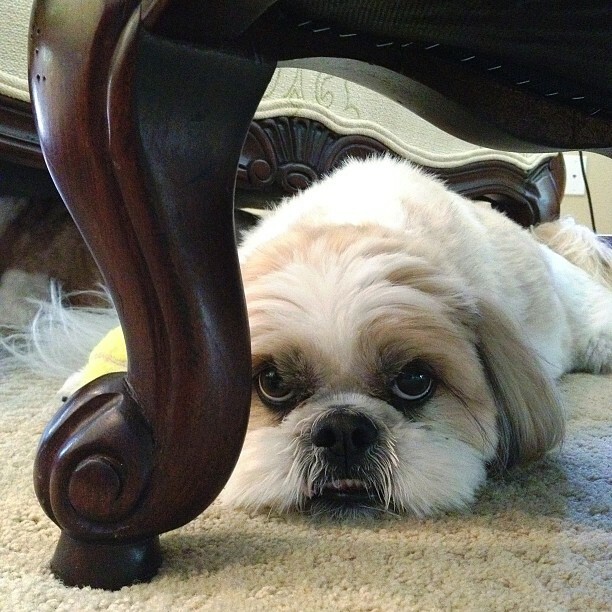 While Gus was taking selfies for the ladies, Tiger was scheming under the chair. Deep in her thoughts, she almost overheard the local TV news reporter announcing the making of the new Star Wars Episode XXL. He mentioned that the casting crew was looking to replace Ewoks with more realistic characters and the auditions were set to start today. That was Tiger’s chance to nail her dream of becoming an actress! 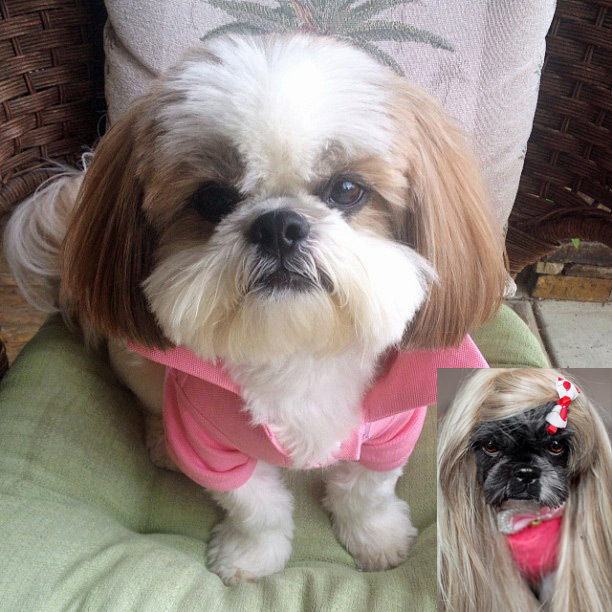 Knowing that Mr. and Mrs. Shihtzuswag would never allow her to go to Doggywood (they kind saw her future as a lawyer or at least with a lawyer), she had no choice but to let Gus in on her secret plan called ‘Operation Shihtzuswag’. Gus was not exactly her first choice for an enterprise of such serious matter but he was her only choice. Tiger used her excellent manipulation skills to convince Gus to be a part of her grand scheme. She suggested Gus should audition for the role of the new Ewok, promising him more groupies than Justin Timberlake had as the lead singer of NSYNC. Women all over the world would scream ‘Gus’ in different languages and accents. As she expected, Gus couldn’t resist the idea of women screaming his name. Tiger has assigned Gus with only one but very important task – to arrange their transportation to Doggywood. First thing first, Gus needed to figure out where exactly this Doggywood was. With his mind on the ladies and the ladies on his mind, he glanced outside his estate in hope to see some kind of sign. Where the hell is Doggywood? 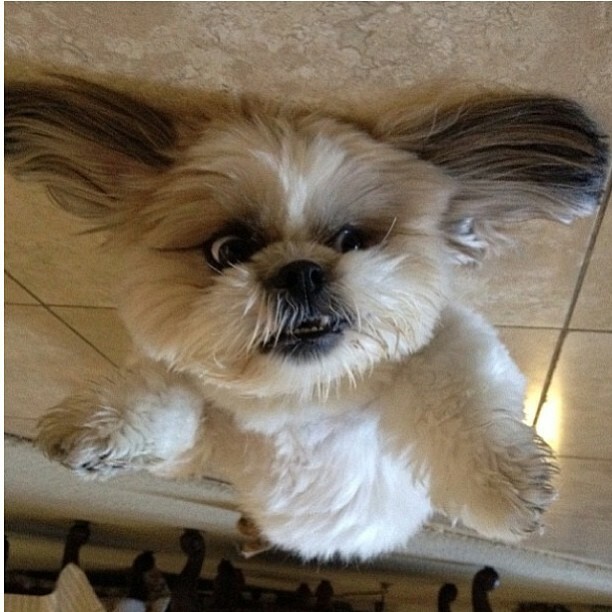 If Doggywood was close enough, they could easily fly there. 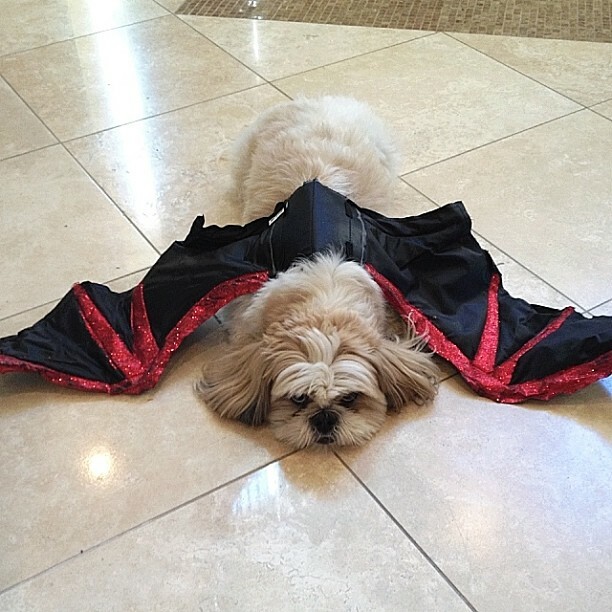 The problem was, they only had one set of wings. To eliminate the danger of being caught dining in a shmancy restaurant, Tiger decided to make a few sandwiches and pack a couple of treats for their trip. Gus was burning to share the news with the world just as much as Tiger wanted to keep the operation undercover. He just couldn’t resist the temptation and called his girlfriend Iso who lives in Sweden, to brag about his upcoming role in the new Star Wars Episode. But Iso wasn’t having it. She remembered the time when Gus joined Don Juan de Flavio for a guys weekend in Vegas right before Christmas. Drinking more than his muscular body could tolerate, Gus was happy out of his mind to ran into one of his favorite rappers, the one and only Tupac. The last thing Gus would later recall was Tupac wishing him “Merry beautiful Christmas“. “If you can make it through the night, there’s a brighter day” was not the case. Next morning Gus woke up married to the bootyfull Krisma. Her booty scared him to death. In her deep manly voice with a strong foreign accent, Krisma demanded to return home with Gus. Gus tried to explain to her the concept of what happens in Vegas, stays in Vegas. But Krisma was determined to meet the family. 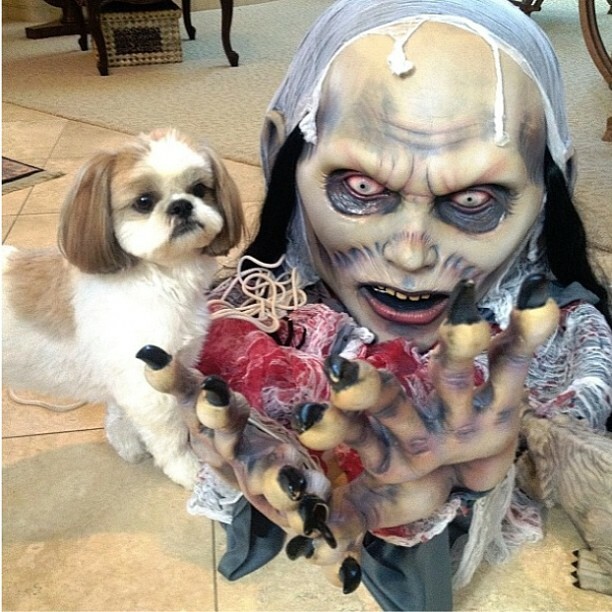 Luckily, Tiger was able to pull some strings to annul the marriage before Mr. and Mrs. Shihtzuswag found out. 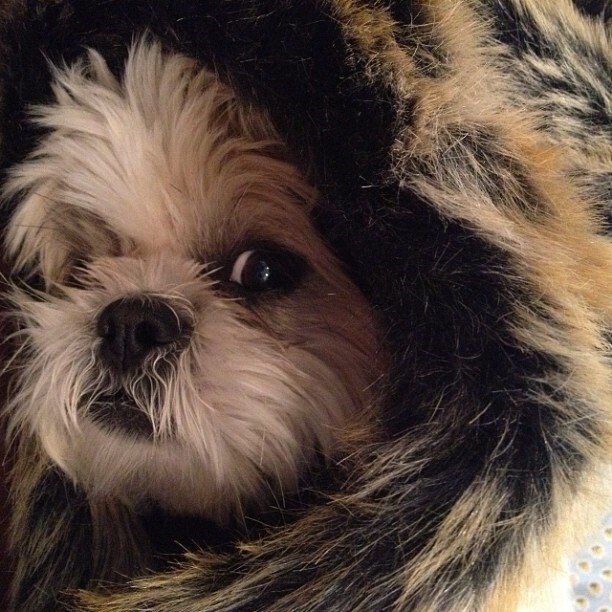 In the meantime, the Operation Shihtzuswag was going according to the plan. Gus had the excellent idea to drive to Doggywood when he accidentally found an extra car key hidden in his box of Playdog magazines. 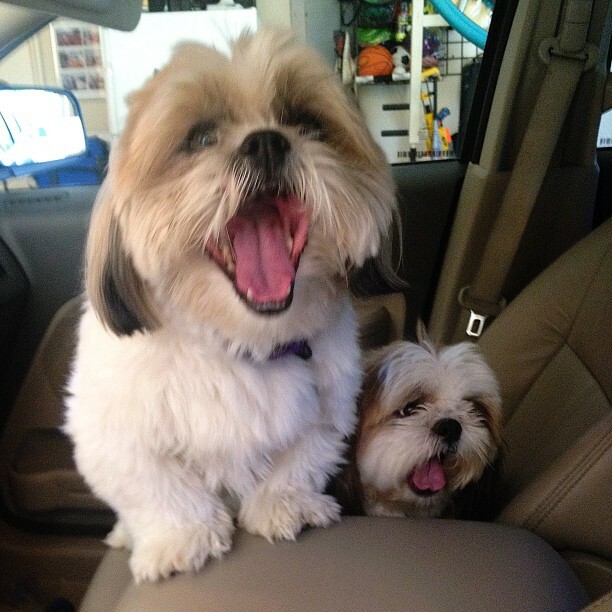 Excited and slightly nervous to hit the highway, Gus and Tiger packed the bags in the car. A couple of hours later they finally figured out how to start the ignition. The realization of her dream was now just a matter of figuring out how to open the garage door. As the door kept rising up with the sun rays urging through the opening, a silhouette of a perfectly shaped female body appeared in front of them. 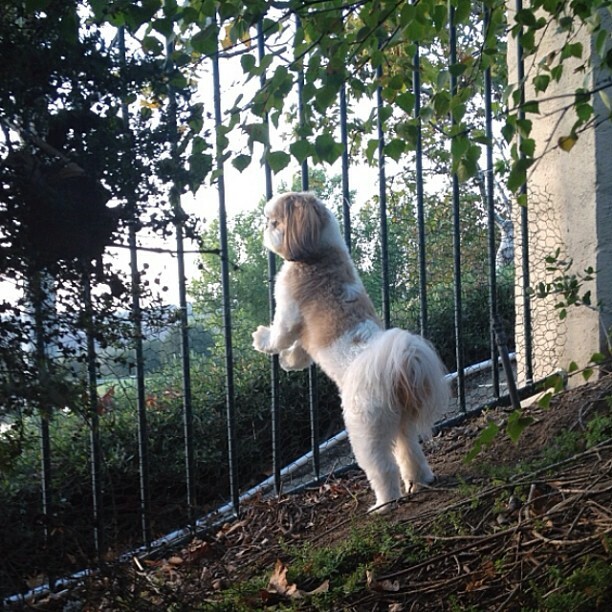 Mrs. Shihtzuswag slowly sipped the rest of her bubbly and then gracefully walked towards the car. 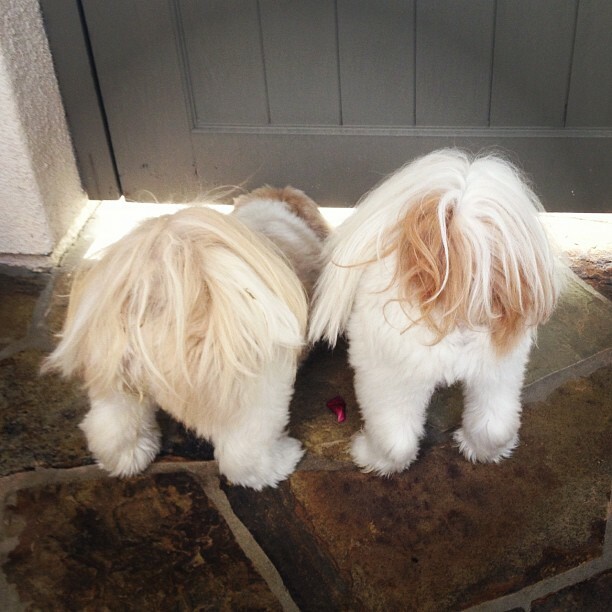 Tiger and Gus became prisoners of their own house. Tiger was so upset when she found out that Iso leaked the operation to Mrs. Shihtzuswag that she actually tried to auction Gus on ebay for 1$. 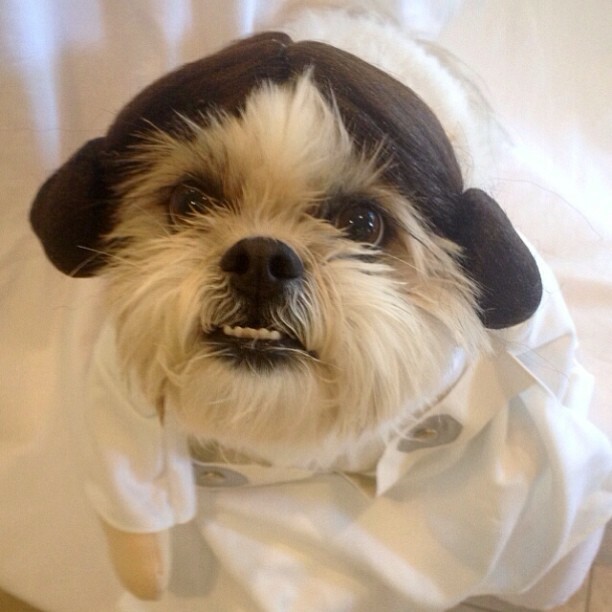 In the product description she portrayed Gus as ‘a despicable Shih Tzu that never keeps his barkbox shot, ruins everything, eats like there is no tomorrow, and can’t keep his paws to himself‘. To her great disappointment, no bids were made. Eventually, she calmed down. Once again she needed Gus to regain the trust of Mr. and Mrs. Shihtzswag and the control of the house. They had to make it up to Mr. and Mrs. Shihtzswag. Bribe was the only thing that came to her mind. In attempt to restore the peace, they handcrafted the cutest 1$ necklaces, decorated the house with the last fall’s leaves, organized a surprise costume party, and took the sweetest ‘I love you’ pictures. 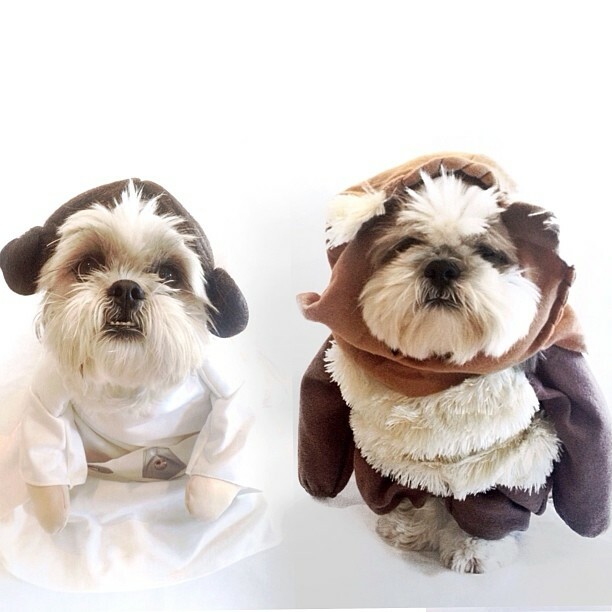 Mr. and Mrs. Shihtzuswag couldn’t help but surrender to their charm. But don’t think that this is where the story ends. Tiger hasn’t given up her plan to audition for the leading role of Leia in the new Star Wars Episode. She is just working on a better plan to escape to Doggywood. Taking over the world. One step at a time. 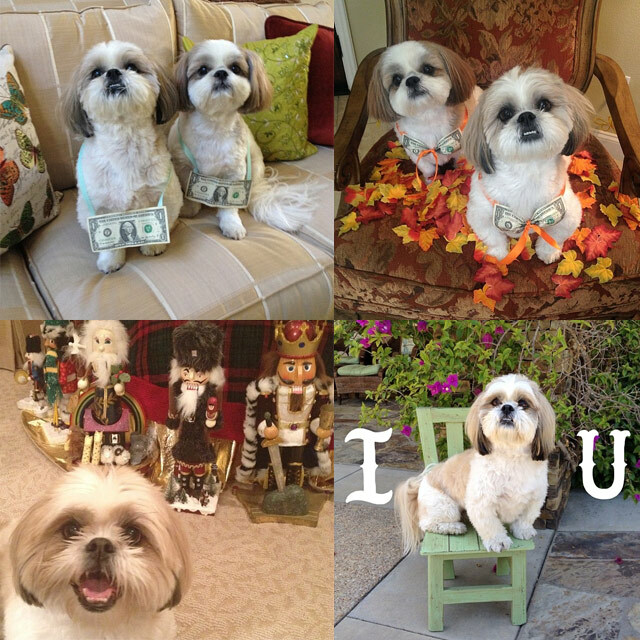 To follow the adventures of Gus and Tiger, click left and head straight to Shihtzuswag’s Instagram dairy!